Greetings from the Nation’s Capital! I felt bad about not doing a Canada day-specific post last week so this feels pretty good. 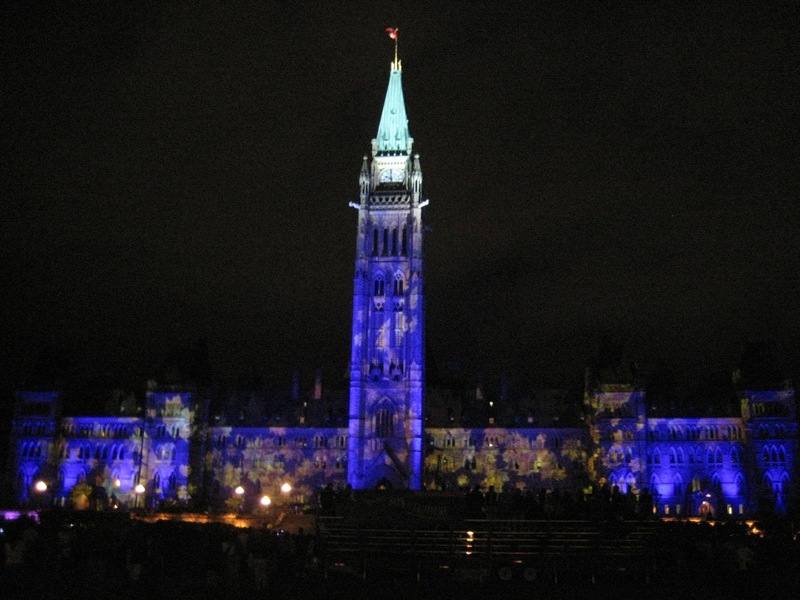 All those points served me quite well when I determined on my post-arrival jaunt that I was only a block from Parliament and that the Summer sound and light show is in full swing. 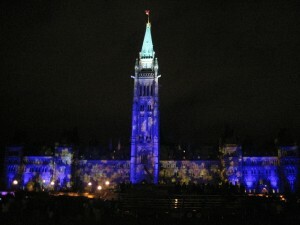 This is how I found myself eating an Italian sausage (covered in sauerkraut) (which I bought from an East Indian gentleman with a cart covered in hockey stickers), amidst a bunch of Irish tourists, sitting on Parliament hill, watching a video projection of Inuit dancing, narrated in French. I smiled and thought to myself that there was truly nothing else I could possibly do that evening that could add to my private personal celebration of the Canadian cultural mosaic, so I called it a night and turned to walk back to the hotel. Then I saw the Tim Horton’s across the street. Dude, you totally should have hit up the Beaver Tail stand. Those things are great – like an even unhealthier version of the doughnut! Sadly things close really early in Ottawa. By the time I got in I was lucky to find a sausage vendor. But yeah, Beaver Tails are fantastic.